The new 2018 Tucson from Lithia Hyundai of Reno has arrived in unmistakable style. The athletic new Tucson has an aggressive front end that lets the world know it’s ready for whatever is thrown at it. The rear exterior details highlight the 2018 Tucson’s aggressive stance and leaves a lasting impression on those who follow. Don’t mind the lingering looks. However, the new Hyundai Tucson is more than just a pretty face. With exclusive power options, effortless connectivity and innovative safety features, the 2018 Tucson creates a next-level driving experience. But be cautious, because once you get behind the wheel you may not want to leave. The new Tucson has efficient power on tap, so you can go further and avoid frequent stops at the pump. The standard 2.0L 4-cylinder engine gets an EPA-estimated 30 MPG highway and delivers 164 horsepower, which makes for a nice blend of power and efficiency. The 2018 Tucson’s available class-leading 7-speed Ecoshift Dual Clutch transmission turns the new Tucson’s thrill level up a notch. The transmission delivers incredibly precise, smooth shifting at the moment you need it. Adaptive technology allows the transmission to actively learn your driving style and adjust shift points to match your acceleration patterns. You will not find this high-performance transmission available with the Honda CR-V, Ford Escape or Nissan Rogue. Staying connected on the road is simple and easy with the 2018 Hyundai Tucson. Available Apple CarPlay™ and Android Auto™ puts all of your favorite apps right on your new Tucson’s touchscreen. Access your maps, texts, calls and music library safely while keeping your attention on the road. The 2018 Tucson’s steering-wheel-mounted audio and cruise controls allow you to tailor your driving experience while keeping your hands on the wheel. The new Tucson gives you front row seats to your favorite show! Pump up the jams with the available Premium Audio system with Clar-Fi™ Music Restoration Technology. 8 speakers offer stunning sound quality. Don’t just listen to your music, feel it with the 2018 Tucson. Your safety and well-being are top priority when on the roads. That is why the new Hyundai Tucson offers a host of advanced safety features to keep you as safe as possible. The 2018 Tucson makes safety a priority from the moment you begin to back out of your driveway. A rearview backup camera comes standard to help you avoid collisions in low visibility areas. Other available safety features include Blind Spot Detection, Lane Change Assist and Lane Departure Warning. These innovative features are designed to give you a sixth sense for safety. You will be alerted of potential threats so you can adjust accordingly, before it is too late. See for yourself why drivers in Reno, Sparks and Carson City are loving the new 2018 Hyundai Tucson. 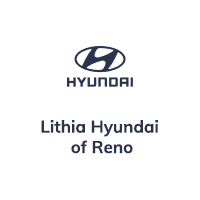 Visit us to test drive the 2018 Tucson at Lithia Hyundai in Reno, NV, today!